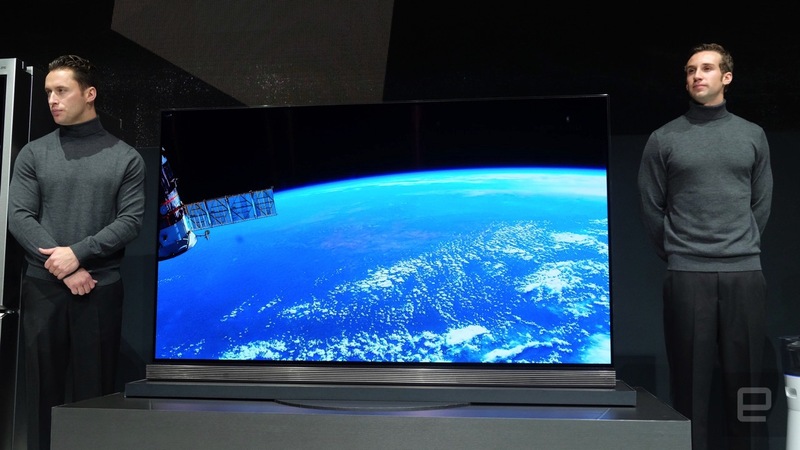 LG says that with 'HDR Pro' its TVs will be among the first certified Ultra HD Premium. LG's TV lineup for 2016 includes eight new 4K OLED TVs in addition to the new LCDs -- including an 8K model -- that it announced earlier. They come in various shapes -- some of them are flat, while others are curved -- sizes, designs and components. The 77- and 65-inch G6 series and the 65- and 55-inch E6 series flagship models, for instance, are extremely thin with a depth of a tenth of an inch behind the screen, translucent glass backs, barely-there bezels and forward-facing soundbar speakers. Like the models it started rolling out late last year, they're also ready to play HDR content -- with more contrast and colors than ever before -- upgraded with what LG is calling "HDR Pro." The 2016 models are LG's first that support all HDR formats, (including HDR10 and DolbyVision), and it expects they'll be among the first sets certified under the new Ultra HD Premium spec. These TVs are all loaded with the updated webOS 3.0 Smart TV platform, enabling easier access to internet video. 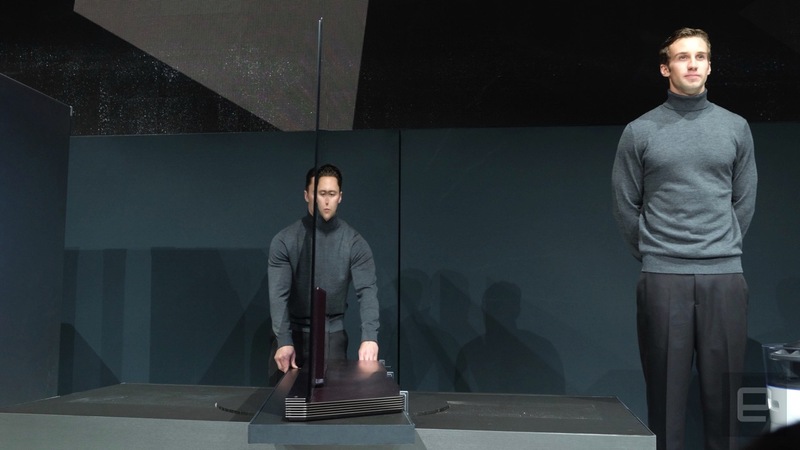 LG's even demonstrating HDR YouTube videos, as well as shows beamed by a Las Vegas TV station, at CES 2016 to showcase the new products. Sadly, the manufacturer doesn't have release dates and prices for us yet, but it does have plans to release certain models in the US sometime in the first quarter. These TVs' predecessor (the LG Art Slim 4K OLED TV) won 2015's Best of CES Award for TV, so it's worth keeping an eye out for these models' availability.